Welcome to Napa Valley! Residents are proud to offers visitors a glimpse of the extraordinary sights and activities that accompany a Napa Valley vacation. 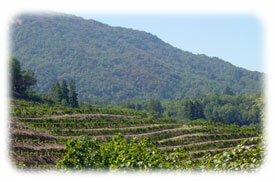 Explore the beautiful natural surroundings, and taste the fruits of this unique land with a glass of Napa Valley wine. 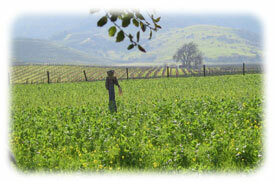 Napa Valley is an area of extraordinary natural beauty. Experience this extraordinary land through a personal bike tour along country roads, kayaking the inland waterways, on horse back through mountain trails, or really high above on a hot-air balloon ride for a bird’s eye view of the incredible scenery. Soaring mountains frame the backdrops set up by rolling green hills and acres of colorful fields full of bright wild flowers. Experience this extraordinary land. Shoppers in Napa Valley are treated to an extraordinary selection of shops at Napa Premium Outlets, which houses 50 shops with top designers at low outlet mall prices. Napa Premium Outlets has become the largest tourist attraction in Napa Valley, drawing bigger crowds than the all area vineyards combined. In addition, smaller boutique shops and locally made jewelry can be found on the charming downtown streets. Napa Valley’s historic district is made up of the second largest concentration of Victorian homes in California. Daily walking tours through these charming homes reveal a unique history about the area, architecture, antiques, and the eccentric owners that called them home. A great meal can only be accompanied by a great bottle of wine. Fortunately, Napa has both. Renowned for extraordinary executive chefs using locally grown ingredients, culinary skills run far and wide featuring a variety of dining establishments catering to every culture and food style. Every summer starting on Memorial Day, Napa Valley restaurants and wineries set up booths every Friday throughout downtown streets offering samples of the very best the Wine Country has to offer. Live bands play and local artist set up outdoor studios, making the event a real unique Napa experience.